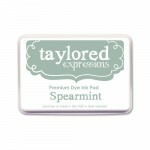 Release Day at Taylored Expressions Today! Hello Lovelies! Today is THE day! 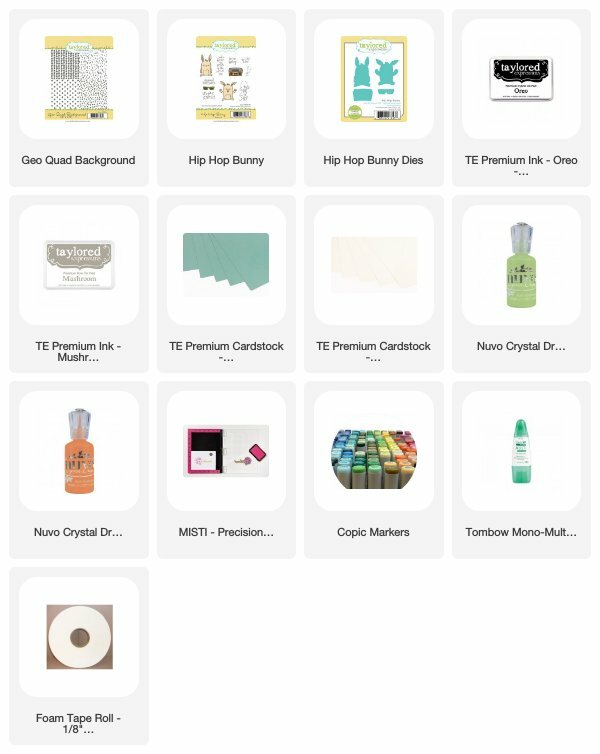 All the new products which I and the designers have been sharing over the three days are now available for purchase at Taylored Expressions store. I have two project to share with you today. The first one uses the new Folk Art Tulip stencils and Big Blooms: Lily stamp and coordinating die. I sponged the new Spearmint dye ink through the Folk Art Tulip stencil on Sugar Cube panel diagonally opposite and fading in the middle. 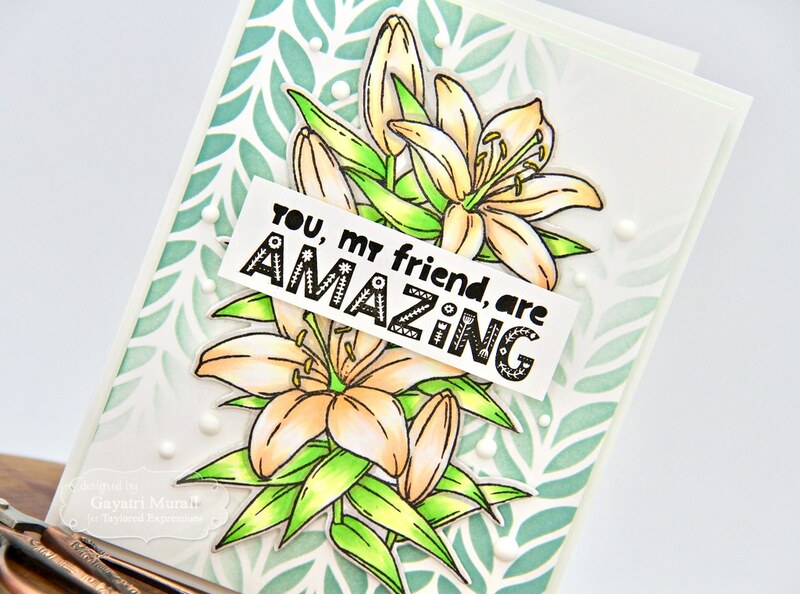 Then I stamped the Big Blooms Lily on Sugar Cube cardstock using Oreo hybrid ink and coloured using copic markers. Then using the coordinating die, I die cut the Lily image out. I adhered this image on the middle of the sponged panel using foam adhesives. The sentiment is from Folk Art Phrases stamp set is stamped in Oreo hybrid ink on sugar cube cardstock, trimmed and adhered on the middle of the Lily image using foam adhesive again. 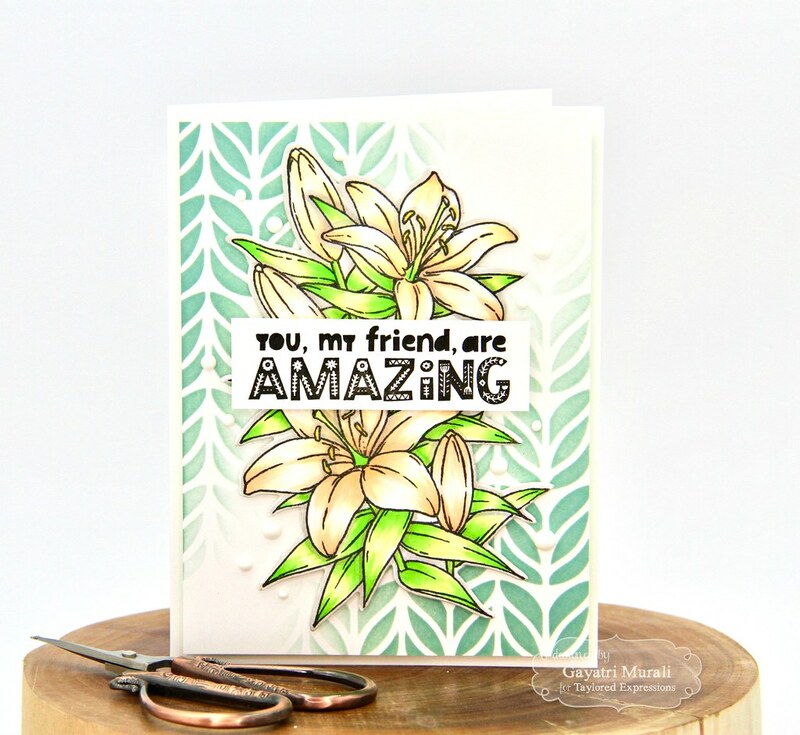 I added a few Nuvo Crystal drops in white to finish off the card. 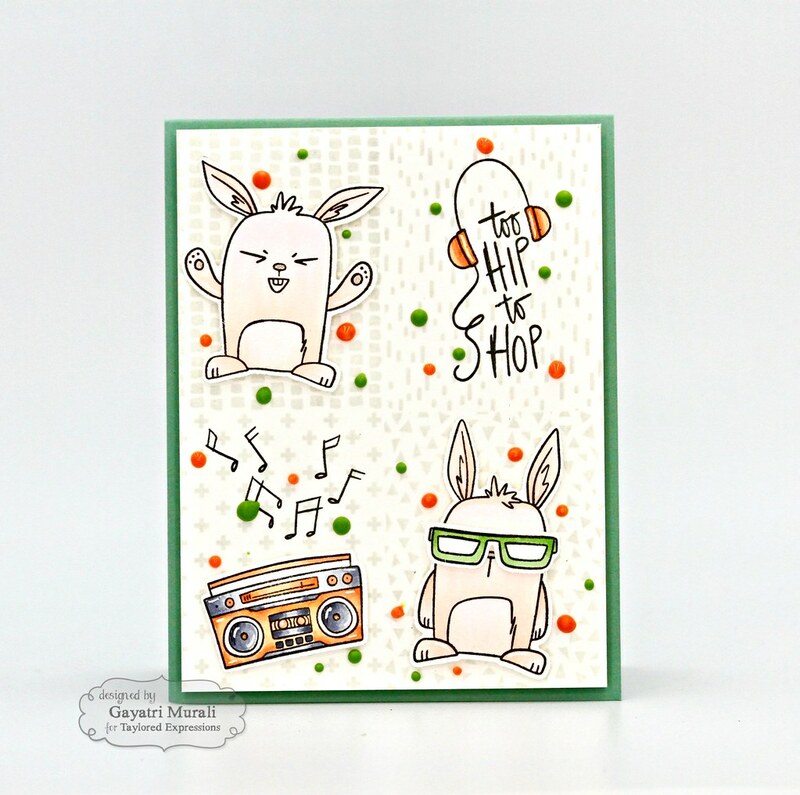 The second project I have to share today uses the new Geo Quad Background stamp with Hip Hop Bunny stamp set and coordinating dies. 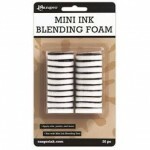 I stamped the background stamp using Mushroom dye ink on Sugar Cube cardstock for subtle background. 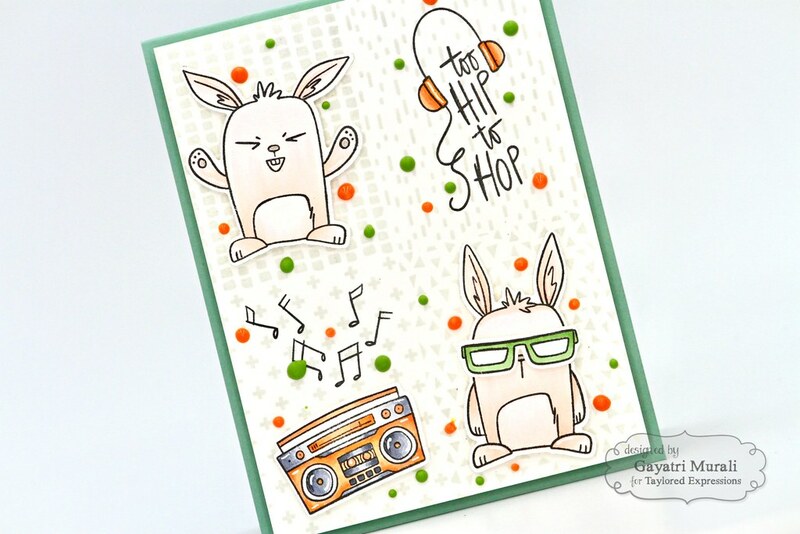 Then I stamped the images from Hip Hop Bunny stamp set using Oreo hybrid ink and coloured using copic markers. Using the coordinating die, I diecut them all out. On the top right I stamped the sentiment. 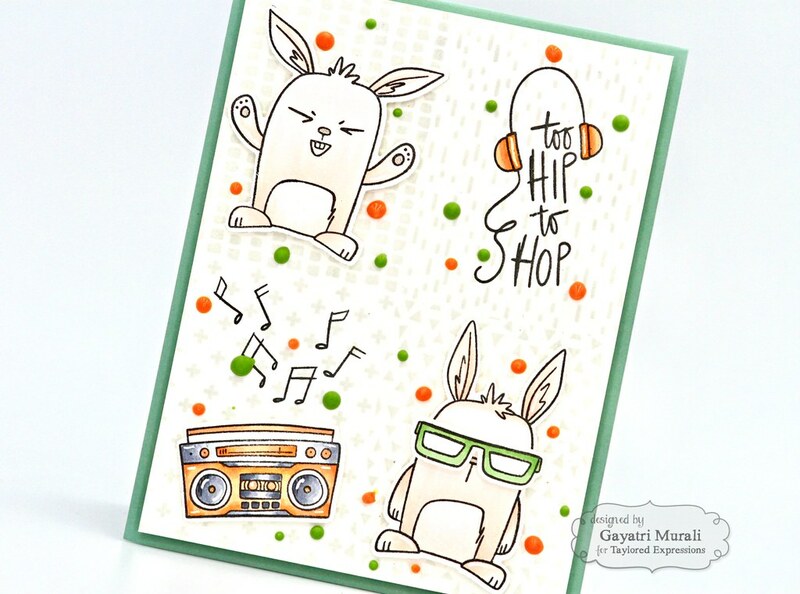 The rest of the three spots, I adhered the die cut images from Hip Hop Bunny stamp set using foam adhesives. 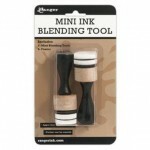 I also stamped the music notes images on top of the tape recorder. I adhered this panel on the Spearmint card base. Spearmint is my favourite colour in this release. If you cannot see already lol! I finished off the card using some Nuvo crystal drops. Here are some closeups. I really love the colour palette on both the projects today. 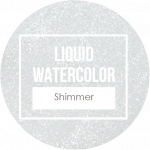 All the supplies used to make this card are below. Hope you liked all my projects for this release. 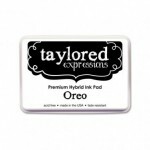 All the new stamp sets, dies, stencils, inks and cardstocks are now available for purchase form Taylored Expressions store. Thank you very much for taking the time to visit my blog and leave lovely comments. Appreciate it very much. Your lily card is gorgeous! And your bunny card makes me laugh – reminds me of one of my sons! Thanks for a great week of inspiration! 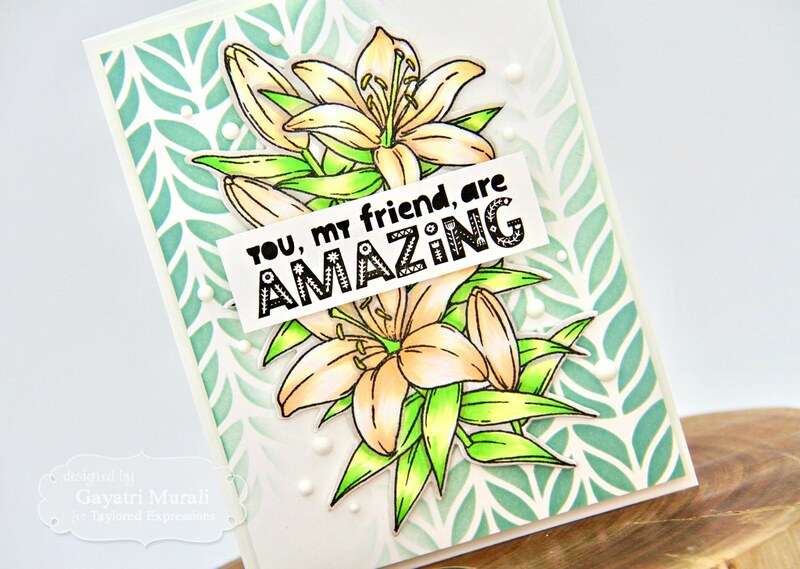 These are FABULOUS cards, Gayatri!